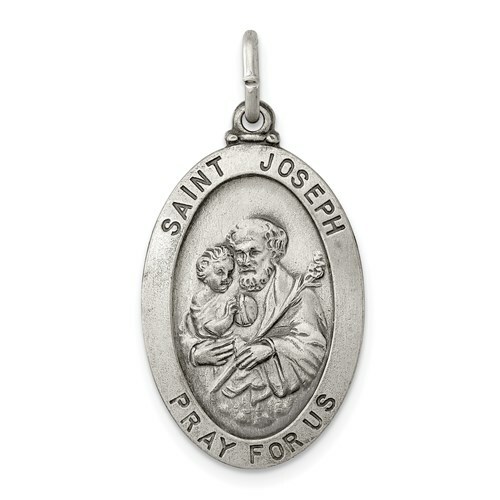 St Joseph oval medal is made of sterling silver with antique finish. Item dimensions: 1in x 5/8in. Engravable. Made in the USA. Chain not included. We recommend a chain no wider than 3mm. It was given as a gift and my fianc��� loved it. He wears it all the time. After his dad gave him a similar one but lost it. He has been looking for one so I surprised him with one. Thank you it's almost like the one he lost.